Check out my newest book Twenty Wild Decembers: Poems on Time, available now. Thanks for the invitation. You had me at "Westminster." How did you get into rap? Did you enter through the production/beats side, or the poetry/performance side? My Uncle Davis was the coolest person in the world to me growing up. I wanted to be just like him. He put me on to the four elements of hip-hop: Graffiti, Break Dancing, Rapping, and DJ’ing. I used to have a break dancing crew in Junior High and it was around that time that I started making my own beats to dance to. I fell in love with the process of beat-making and it wasn’t long before I started looking for someone to rap over the beats I was producing. I hated all the local rappers I knew of so I decided to just write my own. That was the beginning of my “rap career.” Beat-making was my first love, the lyrics came later. What do you see as the particular strength that rap brings to the communication of truth, beauty, and goodness? I would guess that the average rap song has twice as many words in it compared to the average pop song. Rap typically requires two to three 16-measure verses per song. This means you can say a lot in 3 minutes of music. 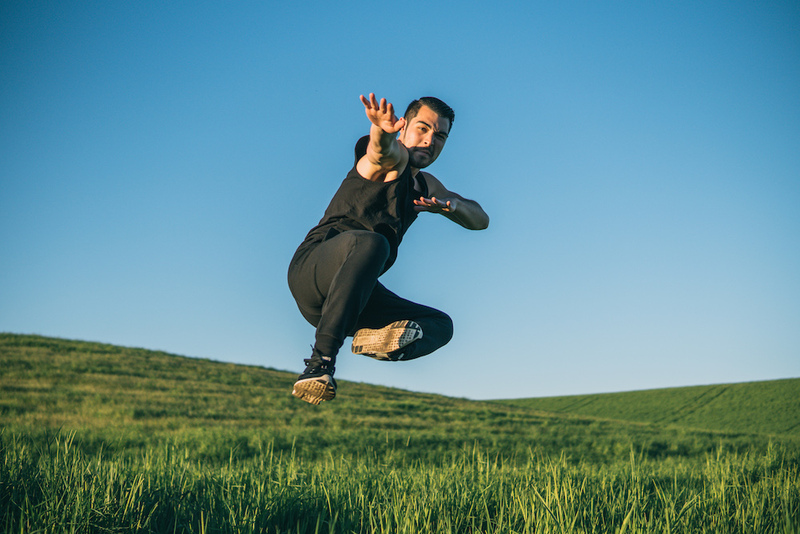 You can develop lengthy logical argumentation, expound Scripture, tell stories, and express emotion in a way that other genres of music cannot. This is the strength of Christian Hip Hop and--if an artist is steeped in the Scriptures--truth, beauty, and goodness will come out in the final record. We cannot give what we do not have and I so work hard at filling my life with influences that cultivate a sense of all three qualities. Is there a specific mission that you see yourself on? The mission I am on is the pastorate. Preaching the Word, making disciples, bringing people together around Christ, those are the things I love to do. If music can assist me in those tasks, that’s a bonus. I used to make music so that people would think I was cool or so that I would be famous. Once I realized the vanity of those pursuits, I started approaching music differently. At this point, I try to make music that I would want to listen to. I want my records to encourage people in their walk with Jesus. My personal motto is “encourage the saints, don’t entertain pagans." Do you write your own beats? If yes, what is your set up? Yes, I write and produce everything from start to finish. I use Logic 9 as my workstation and my main instruments are Omnisphere (a digital VST) and Exhale. I recently sold my Roland Fantom X-6 because I just never used the sound bank on it. I use an Akai MPD and Battery for programming drums and a PreSonus Firestudio Mobile to record vocals. I am obsessed with drum sounds (I used to be a drummer) and so I will do all kinds of sampling and mixing to get the kind of boom and bap I want on each record. I am playing around with loops for an upcoming project but typically I play everything through the MPD. The real magic happens in the mixing process with the plugins. I use Waves plugins and have spent countless hours building my own presets to get the sound where I want them. It’s meticulous and intense, but very rewarding when it comes out right. You have a favorite beat writer or producer that you go back to regularly? My favorite producers are Aaron Marsh (Copeland) and Jeremy Larson (Sucre/Violents). Sonically, they are at the top of the game along with the greats like Dr. Dre, Timbaland, and Pharrell. My friend and frequent collaborator, Danny Cary, puts me on to a lot of music outside of the hip-hop world and that has been a huge blessing. I have come to love a lot of music that I would never have found on my own. I also love movie soundtracks with an epic scale. I like Howard Shore and Hans Zimmer’s work. Music is visual for me. Movies bring together the best of those worlds. In another life I would have been a filmmaker. What poets and rappers do you find consistently inspiring? This might sound like a “Jesus-Juke,” but King David and the Psalms are my forever inspiration. I sit down with the Psalms everyday and am always trying to learn how to chant or sing new versions of them. (I love David Erb’s through-composed Psalms). Because Hebrew poetry does not rely on rhyme scheme the way that English poetry does, it has expanded my own vision for what a rap song can be. Outside of the stuff that God wrote, I try to keep an ear to what the “secular tastemakers” are cooking up. This means I will take a day and listen to Kendrick Lamar, Drake, or even Taylor Swift. It helps me keep a pulse on what the world is doing. If there is something worth taking, I take it. In the world of Christian Hip-Hop, I like the folks over at Humble Beast, especially Jackie Hill-Perry. I am sucker for hype-music and trap-beats so I bump just about anything that Reach Records puts out (even if I don’t fully agree with their theological trajectory). Trip Lee, KB, Andy Mineo, and Lecrae are all in a playlist somewhere on my iPhone. I am also a sucker for singer-songwriters with a warm aesthetic. This inspires me more than anything in the rap world. I like Billie Marten, The Oh Hello’s, Purity Ring, Holly Ann, Sucre, The Staves, and many others. Few things excite me more than discovering a new artist who “gets it." What do you love about Rap and Hip Hop as art forms? I like dope beats. No other genre can compete. I also like the polemical and aggressive nature of rap. There is something masculine and competitive about hip-hop that appeals to the athlete and fighter inside me. Evangelicalism is effeminate through and through. Prophets are few and far between. Historically, hip-hop has been a prophetic and political form of speech. The church needs to regain that prophetic voice in its pulpits. I used to go open-air preach at the University of Idaho and I would listen to Christian hip-hop to get me in the right frame of mind. There is a holy violence that we need to recover. Rap, as an art form, is one way we can cultivate that courage. Have church folks been supportive of your pursuit of Rap? Yes, overwhelmingly so. When I was an undergrad at the University of Washington in Seattle, I was part of a large campus ministry (The City Church/Generation Church). I did concerts and performed at our conferences and it was all kinds of crazy and fun. This was also before I knew anything about the regulative principle of worship (but that’s another story). I then moved to Jacksonville, Florida to help plant a church (with Acts 29) and at least half of our church was either black or embracing hip-hop culture. Our worship pastor was a gifted singer and rapper named Big Fil. We created some amazing things together at the church there. It was in Florida that I did some of my best artistic work in poetry, writing, and performance. Then I moved to Moscow, Idaho which is one of the whitest places on the planet. I love it here but there isn’t any hip-hop scene. Despite some people’s reservations about hip-hop and the cultural baggage of rap music, and even though rap isn't really their thing, I have felt very loved and supported by the community. I love them for that. More than half of the tracks of your newest album Euphoria are collaborations. What is different about the creative process when you are working in collaboration? 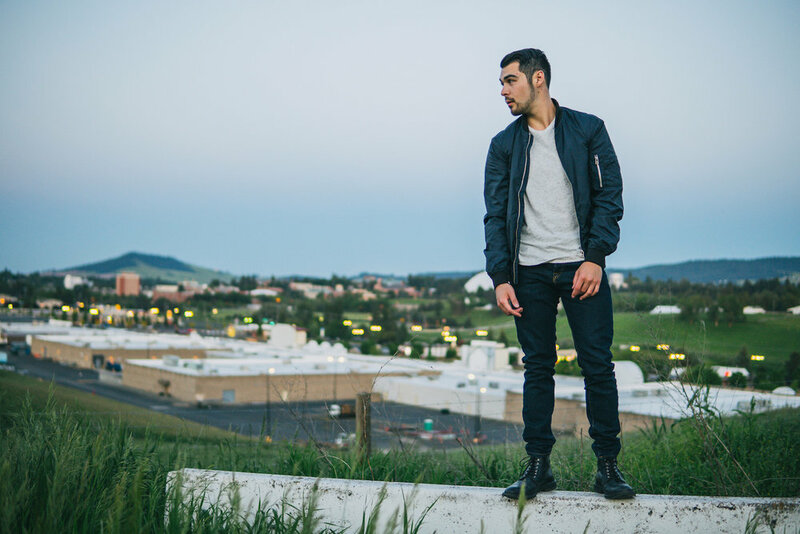 The creative process is exactly the same when I am working with other rappers (Big Fil, Shawn Ahmadi). I make the beat, I record my vocals and then send them the song in it’s near-complete form. All they have to do is record their verse and it’s done. When I work with singers like Danny Cary on the other hand, it is usually more involved. We will send files back and forth and fight over what we like and what we don’t like. Danny and I lived together in Florida, so we both know each other’s taste really well. Working together can be exasperating and frustrating for both of us, but in the end, we almost always make something that we are both proud of. My music would not be what it is without his divergent tastes and opinions. When you find someone that makes you a better artist and that you actually enjoy hanging out with, hold onto them. I have been blessed to collaborate with some incredible people over the years and I am always looking for new artists to connect with. In the future I would love to simply produce for singer-songwriters and handle the behind the scenes work. That excites me. The name of of the album made my eyebrows crawl up my forehead. It is unexpected for a rap album. What is it about, and where did you get the idea? The name of the album is Euphoria and it is all about chasing joy. The thesis of the album can be found in the first and last songs: Bouquet and Magic. My parents divorced when I was 18 and I have spent the last ten years all over the place emotionally and geographically. The story of my life has often felt like one disappointment after another. But, when I read the Scriptures, I see that the story is actually one of God’s mercy on my life in endless perpetuity. Despite all the horrible things that have happened, my life has still been grace upon grace. Euphoria is about this journey from mourning to dancing. From sowing in tears to reaping in joy. Music is such a human endeavor, what has your experience been sharing your music with people? Sharing your art with the world can often feel like getting naked in front of a bunch of strangers. 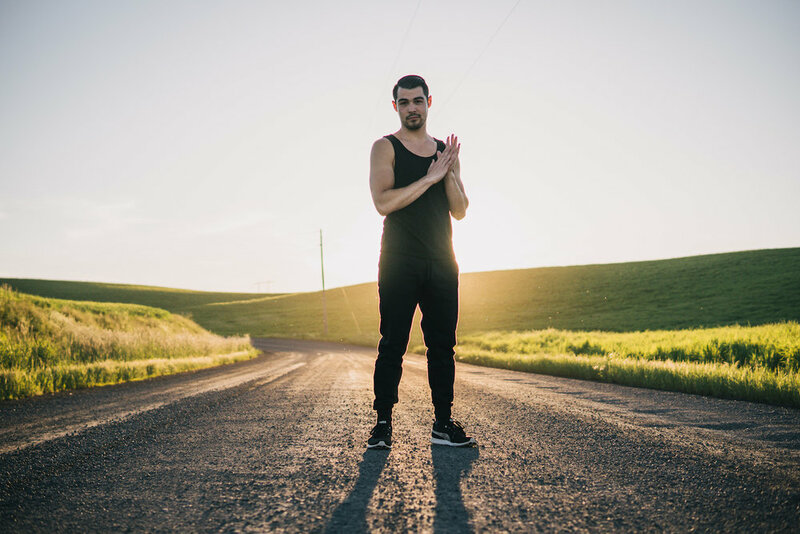 Depending on how much of yourself you put into the music, all of your imperfections and insufficiencies and sins are right there for everyone to see. Self-awareness can help a little bit, but narcissism is deceptive. When people tell me that the music has encouraged them, it is very satisfying. At the same time, I am still learning to get over myself and that means learning to receive feedback, good or bad, without building an identity around it. One day I hope to be mature enough to not care and truly make music simply for God’s glory and the good of my listeners. That’s the target I am aiming for. You are up in Idaho these days, right? Maybe it doesn’t have a burgeoning Hip Hop scene, but what is the best thing about living in a small town? You have any other projects that you are working on? Yes, I am halfway done with a Five Points of Calvinism EP and hope to have that out sometime in the Spring of 2018. Thanks so much for joining us at The Westminster Confession of Funk. Louis Hayes, in the newest Drummer's Journal, talking about being 19 and suddenly thrown into the New York Jazz Scene in the 50's. It's my pleasure. Sassiest blog name ever. 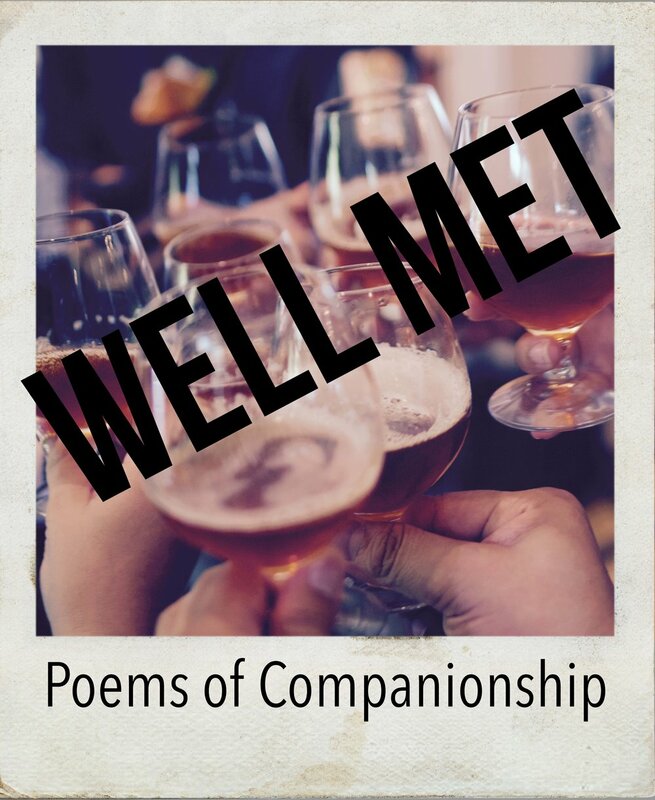 So your collection of poetry Well Met: Poems of Companionship is going to be released in soon. What has the writing, collecting, and refining process been like? Hodge-podgy on all three counts. Some of these poems are nearly fifteen years old. I usually write the poems in one quick burst, even the long rhythmic ones. Then they sit in a journal or a folder online and over the months and years suffer iterations and endure tweakings when I encounter them again. Sometimes a conversation or a story on social media will remind me of something I scribbled, and I'll go back and mess with it. I have an entire bookshelf of journals, the majority of them handmade by my wife. The journals are mostly full of notes for my blog or Bible studies and whatnot, but much of it is verse. Some verse just rises to the surface enough times to stand out and really be worked over. What have you been up to while you have been writing these poems? Buying a house. Making babies and raising babies. Squeezing the wife. Opening and closing a bookstore. Coaching basketball. Teaching English. Vlogging. Going to Brazil as a missionary. Currently trying to decide whether to retire from rugby. My mother was always throwing books at me. I was immersed in the Lord of the Rings from a tender age. I was always struck by Aragorn's love for and facility with verse. I started writing poetry when I was eleven or twelve. I'm not sure what started it, but I know I was a language-loving kid who led an isolated life. Even today C. S. Lewis' descriptions of alone time and books in Surprised By Joy enters the iron in my soul. Many kids in such circumstances begin to write prose in such circumstances. I wrote bad and youthful poetry. When I was eighteen I wrote a poem I am still fond of, playing off of the title of La Belle Dame Sans Merci, playing off of merci and mercy. All my mother had to say was that merci didn't mean mercy in French. I know, mom. I know. Now that I am nearly forty, I would advise the new poet self to dedicate himself a little more to verse, since he enjoys it so much. But really, that's the advice I'd give my younger self about everything I like; it wouldn't be just about poetry. I'm afraid one of my worse vices is to be casual about the things I love. I am so deeply a dabbler it embarrasses me. Besides being a poet, you also have a youtube channel and a video blog. How do the two creative processes differ and how are they the same? They are similar in that I conceive of an idea and often spend much of the creative process away from paper, usually because of work. So I turn them over a few times in my head and organize them off-paper. I often arrive at camera or paper knowing exactly how I want it to go. Anyone who has sat down in front of a camera or attempted to write a poem knows it usually doesn't turn out as planned, but I've become accustomed enough to this process that the end result is usually pretty faithful to that first day's or week's mullings. I often rant in my videos. I haven't ranted in verse for at least ten years. Both my YouTube channels are very interactive, with lots of audience participation. That only happens with my poetry if I perform it at public events, which is only once every year or two. I'd like to write more poetry for performance, because that immediate interaction is energizing and inspiring. We no longer associate show and showmanship with poetry, but I think we ought to. Bring it back. It's salutary, y'all. Most salutary. When you are looking for inspiration, where do you look? Do you begin with words, ideas, or things? In the following order and that most firmly, I begin with words, then ideas, then things. I am almost never inspired to write by a scene or situation, and a notion will occasionally strike me, but an odd word choice or turn of phrase will send me scurrying for my notebook. Are there poets or artists that you find consistently inspiring? The poet who most inspires me, to whom I return almost weekly, is Gerard Manley Hopkins. I lack the imagination to picture a Tolkien devotee who wouldn't delight in Hopkins. He's so hugely Anglo-Saxon, and yet so pastorally English. For that reason alone he should resonate with all Christians, since our lives are quiet and modest yet epically significant and cosmic. Next up are Eliot, Milton, and C. S. Lewis. Especially Lewis. I discovered most of my favorite poets as a teen, but Lewis was the one who most influenced me as an adult. His dominion of English seems so complete, but he uses it so modestly, even when the scale of his poems is large. Not when I write poetry. I reserve music for prose. The motivating factor in my music selection is lyric, which would interfere with poesy. If you could craft people’s response, would you prefer that people reply, react, or retaliate to Well Met? Why? I would prefer that they reply. Preferably in verse. Social media, and especially my YouTube channel, have made me value conversation. Obviously much that is said on social media is more haranguey in nature (I have a rule pro per that I do not read comments of more than a few lines), but I do like a nice chat. Just as my favorite way to do poetry is to perform it, my favorite times on YouTube are with live videos. I would not mind simple reactions, I would be flattered by retaliation, but I would be pleased by replies. And may I pause here to say that if we all learn to appreciate short forms of poetry we might recover the art of the remark, the mastery of which is necessary to rescue the lost art of simply commenting on something. What is the most significant lesson that you learned while writing poetry? That it is easier to be funny than earnest. And that I love and admire earnestness. I hope readers find my funny poetry funny, since I suppose that to be the easier stuff. If one of the poems tries to amuse you and fails, maybe just close the book and put it aside, preferably in a place of quiet dignity. Where can we pick up a copy of Well Met? It will roll out and become available at Jovial Press. You can get it at Amazon and on my blog. Or at bookstores where I have friends. Any other projects forthcoming? Anything else that you are working on? I co-wrote a little e-book called Christian Pipe Smoking. That had a good bit of success, and my co-author has been bugging me for a while to work on a second edition. I should probably get around to that. I'm some ways into anew book, a Christian's practical guide to the enjoyment of things. One of the things to be enjoyed is poetry. She didn’t like this response at all. She did not look at me or say anything to me for the rest of the transaction. I don’t know how, but my idiotic attempt at a joke really destroyed her day. As soon as I saw her disappointment in me, I knew that my failure had been generative. And thank you for such a delightfully named blog. It's always been one of my favorite names. 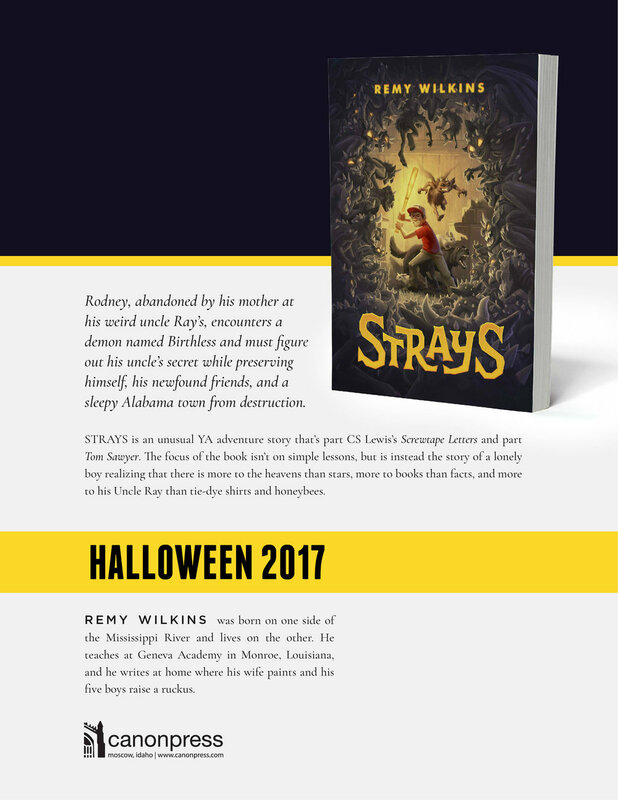 So your novel Strays is available for pre-order. What's it about? What inspired the story? It's about a boy named Rodney who has to spend the summer at his weird uncle's and gets caught up in a demonic invasion. The major influence is The Screwtape Letters, which is a book that never goes more than a couple of years without being pulled off my shelf. The other point of inspiration is Martin Luther, particularly his dealings with Satan. His legendary abuse of the devil has always tickled me. His hymn A Mighty Fortress is also a touchstone and I use its lyrics as chapter titles. There are several characters to whom the title could apply and that's part of the fun of the novel. Rodney has to determine who is trustworthy and even examine his own loyalties. Strays was an idea I'd had for years, which grew from a fairy tale I'd invented for my sons called Little Lost Demon. When that story was scaled into a full length novel a title change was necessary, especially since I find it very difficult to write without a satisfying title. Plus I was in need of a third act twist and Strays fit that need perfectly. There were innumerable setbacks, the first being that I don't have the ability to drop into a novel an hour here and there and write fruitfully. For me to write, at least in novel form, I need a stretch of days uncluttered by my day job. As a teacher I have a couple of months off, so after holding down a summer job for a number of years I finally decided to use the time to write. I began the first draft in the summer of 2012. Halfway through I realized that I had numerous plot problems so I shelved it until Christmas break. I ruminated on the problems and workshopped my solutions so that over the two week break I was able to rewrite and rework what I'd written. Then during the next summer I "finished" it. Put this way it doesn't sound so bad, but trust me when I reached the end of the first summer and realized that I had half a broken novel it wasn't the happiest of times. I'm also keeping an account of lost wages and holding it against the novel too. It's my tiny act of revenge for all the suffering I went through. I do find that it's easier to write a character when I have a visual, but I haven't done that yet. I usually just take bits of people, someone's walk, another's laugh, and weave them into who I have in mind. For example, Rodney's uncle is bristly bearded and full of chuckles, something that was helpfully crystallized by a couple of jolly bearded fellows I know. I do the same thing when I read to my boys. I'm much more consistent with the voices if I can tie them to an actor or (more commonly) a Muppet. When reading Harry Potter I used John Malkovich for Snape and a raspy Scooter for Ron Weasley. As I said above, The Screwtape Letters was the chief inspiration. I love the world CS Lewis created. It's quite a sinister little book, but his depiction of the demons as petty, cruel and more than a little self-defeating is powerfully insightful. And the fun I had creating demon names was the most fun I've had during any project ever. I have a folder full of demon names that I didn't use and more came well after I was finished writing. Here's just a small sample of unused names: Scumwidget, Bilklog, Fog-jibbet, Ooze-rug, I could go on. During the writing of Strays I sang Luther's A Mighty Fortress at least once a month in our chapel service. Each time was an opportunity to rehearse the story. Outside of that I try to match the music to the mood. Explosions in the Sky is my go to band, I know the catalogue well enough to find something to suit the scene I'm writing. The first lesson was that I need to finish the outline. Strays was derailed by a pretty basic story point that I hadn't thought through. The other lesson that I'm still learning is to not be overly concerned about the first draft. Finishing something is far harder than rewriting something and no amount of rewriting before it's finished will save you from having to rewrite it later. I've gone through the book no less than seven times since I finished that first draft. Currently I'm at work on several other projects. So far my imagination has outstripped my ability to put it all down on paper, but I'm excited to work through the idea file. The goal is to be able to write throughout the year. Hopefully I'll be able to write more than one novel every two years. There is very little that can undo a dandelion. it pops up again when you’re not looking. and live long, when you are still long gone. they will grow up smiling around my tombstone. Because all I have is the power of brute force. Because all I give to this flower is death. Fists of Fluff is a Samurai reframing of the Tortoise and the Hare. It has been years since the Tortoise and Hare raced. And though that experience defined their young lives and they have both since grown and studied to become Samurai warriors. But when Coyotes attack the village, Hare discovers that, though his fists are fast, they are too soft to defeat the coyotes and bring justice to his village. But the tortoise has another lesson for the Hare. And the whole story is written in Haiku. Excited to have a new Arts, Music, and Poetry Column in the Blogazine with my friends over at CrossPolitic. Some of my thoughts on the new Netflix documentary The Evolution of Hip-Hop. Packaging the Tribe. One of the best tracks off of The Roots new album has an excellent insight on what a strip joint is actually selling. When the People Cheer: Strip Clubs and Black Thought's Poetic Insight. Why are stories like Guardians of the Galaxy important? And why are there so many of them lately? I take a shot at where Plato, Maximus the Confessor, Chaucer, and Rocket the Raccoon come together in Is Our Galaxy Worth Guarding? (A Sort-Of-Not-Really Movie Review). Check out my newest book, Waiting Through Winter. It is a Children's book about animals preparing for winter. Illustrated by the uber-talented and illustrious Jessica Linn Evans in beautiful ink and watercolor. First off, thanks for joining us at The Westminster Confession of Funk. Congratulations on your new album The Nature of Us. It is seriously high quality stuff. Thanks for having me. . .
My newest book is a collection of poetry entitled "No One Doubts a Belly Laugh," and it is out today. Couple of comments from reviewers that have rolled in so far. "Jason Farley's poetry serves up center-cut, double-thick slices of verbal bacon, sizzled in a hot cast iron pan: it crackles and pops with all the depth and flavor of life." "As someone who reads poetry on the hunt for great lines, I welcome this collection from Jason Farley. There are some great lines here. The poems are good too." (From the preface to 'In Pursuit of Kindness,' which is now available at Amazon.com, Barnes and Noble, or through Jovial Press. I am not naturally a kind person. I am tempted constantly and consistently to cynicism. In fact, when I walked myself through the doors of a church, I had spent the previous night watching Saturday Night Live and listening to the eminently misanthropic joke punk band The Dead Milkmen. One of my favorite songs was ‘If You Love Someone Set Them on Fire.’ And that was pretty much my take on kindness when I first showed up at First Presbyterian Church in downtown Spokane. But God, who is rich in mercy, has led me like a rail-riding hobo in pursuit of kindness. I was suspicious of any kindness, convinced that there always had to be a self-serving agenda. But God has been patient with me because, quite frankly, he is kind. And, for me, this has probably been the most surprising thing about God. I did not expect it. I was not looking for a kind God. It had never occurred to me that kindness was particularly important. It never seemed like the something that would be attached to divinity. I was convinced that the truth about life, God, and the world would be like medicine. It would taste bad but be good for you. And any sweetness was, at best, an illusion, and at worst a downright lie. But I kept running up against the fact that, in the history of God’s people, the lovingkindness of God has been the defining feature of our story. I found myself to have been grafted into a history wherein God was surprisingly kind. At least it was surprising to me. This book is me coming to terms with God’s kindness, what it means to follow a kind God, and what it means to be in pursuit of kindness. From the Preface to 'In Pursuit of Kindness. To read more, check out the book HERE. The historic Church has sought to place memorials of Jesus everywhere. This is a right desire (Deut. 6:5-9) and the calendar did not escape the zeal to memorialize. But because what we are looking to memorialize is a whole story, the memorial feasts of the church calendar have themselves formed into a story. Advent celebrates the longing that God built into the world before Christ. It leads to the celebration of the fulfillment of the longing of the Jews as we celebrate the incarnation of Jesus with the twelve days of Christmas. Though God has drawn near throughout our history, God’s people had always been barred from the inner life of God. But the Son of God became a man and opened up direct fellowship with God. In his flesh he became the door to that life. God has always been the savior, but by taking on a body in order to dwell among us, Jesus became savior in a new way. He brought a salvation that was deeper, broader, higher, and longer in every way. So much so that all the salvations that God had wrought in the past turned out to have been shadows of what Jesus came to do in the flesh. Epiphany is the first day after Christmas and is the celebration of the coming of the wise men to worship Jesus. As the first Gentiles come to worship Jesus, in them we see that Jesus is the fulfillment of the longing, not just of the Jews but of all off the peoples and nations of the world. Just as the gospel went first to the descendants of Abraham, and then to the Gentiles, we move from Christmas to Epiphany, but that is just the first act. We used to worship a goddess that was said to be the power behind the equinox, but she has been forgotten. And the heavens, which shout the praises of God, have come to be recognized and understood for what they have actually been saying all along. The word ‘Easter’ has been cleansed as the gospel has triumphed. Easter is now the festival day in which we celebrate the fact that winter is not just overcome every year; the winter of the world was overcome when the true spring began. When the Son of God burst forth from the grave as he was raised from the dead by the power of the Spirit of God, the winter of the world was wrecked. Adam and Eve cast the world into winter with our sin, but God soon began giving hints that the winter would be broken. T.S. Elliot, in his poem ‘Little Gidding,’ calls these hints, “midwinter spring”, where a day with winter on each side is bright with the hint of a coming spring. When the short day is brightest with frost and fire . . . stirs the dumb spirit, not with wind, but with pentecostal fire. All throughout the Old Testament there are midwinter spring days, where spring itself does not come, but God makes it clear that the spring is coming. Resurrection is coming. History itself will have a spring equinox, when history turns from winter to spring. This is why we call feast of the resurrection Easter. This is why we named it after Spring. The true meaning of Spring, the actual reason that God set up the cycle of the equinoxes and seasons, is that God is a God who brings life from death. So everything in spring is a legitimate symbol to be used in our celebration of the resurrection. Be it eggs, rabbits, flowers, dressing the children in new outfits, or seeing the ladies in beautiful spring clothes, it is all a wonderful and legitimate way of celebrating the resurrection. Because when Jesus came back from the dead the world's winter was broken and the spring came. Jesus' resurrection is the turning point in history that then leads to the revolution of the ascension. Forty days after the resurrection, Jesus ascended into heaven (Acts 1:9). Ascension Thursday is the day that the church has traditionally set aside to celebrate that installation of Jesus. At the ascension, Jesus was anointed as King of kings and Lord of lords. Then he took the throne at the right hand of God the Father. It was a revolution because every authority in the pre-Ascension world was unseated by the work of Jesus. "And having spoiled principalities and powers, he made a show of them openly, triumphing over them in it" (Col 2:15). After the resurrection all authority on heaven and on earth was given to Jesus (Matt. 28:18). When Jesus "was received up into heaven, and sat on the right hand of God" (Mark 16:19), the revolution was accomplished, complete, and finished as Jesus was installed as the ruler of all. Daniel recieves a vision of the day when the Son of Adam would come to heaven. He gives us a view at the other end of the journey of Jesus' ascension. The Apostles saw him leave for heaven. Daniel is given a vision of Jesus arriving in heaven. "I saw in the night visions, and, behold, one like the Son of man came with the clouds of heaven, and came to the Ancient of days, and they brought him near before him. And there was given him dominion, and glory, and a kingdom, that all people, nations, and languages, should serve him: his dominion is an everlasting dominion, which shall not pass away, and his kingdom that which shall not be destroyed" (Dan 7:13-14). In the ascension, the authority of mankind, the authority that was forfeited when Adam sinned, was restored to Mankind in the second Adam. But that restoration does not just remain with Jesus. Ten days later, on the day of Pentecost, the Holy Spirit of God was poured out on the church and the final restoration of humanity in and through the church began. The Church is the body of Christ, and when the Spirit was poured on Jesus, as he was anointed the King of kings and the Perfect High Priest of the heavenly tabernacle, the Spirit flowed down his head, down his beard, and onto his body (Ps. 133). When Jesus is anointed King he gives gifts to his people (Eph. 4:8). But the first gift that he gave was himself in the gift of his Spirit. Hence the name ‘Spiritual’ Gifts (1 Cor. 12:1). And through these gifts, the restoration and perfecting of his people (that will continue into eternity) both begins and is guaranteed by the giving of the Spirit. Next we come to Halloween and All Saints Day. Halloween was not, and has never been, a pagan holiday. The Christian calendar, because of the Hebrew influence, has always begun its celebration on what the Romans considered to be the day before. The first days went from evening to morning (see Gen. 1), but the Romans reckoned their days from midnight to midnight. Out of Hebrew habit, the feast day celebrations began the evening before the day of celebration. Because much of the calendrical reckoning was done with Roman calendars, it felt as if the celebrations were beginning a day early. What this says about the different views of history is a fun question, but for now, what is important is that is how the party on the eve of a celebration came to find itself on the calendar as its own event with its own traditions and activities. The word 'Halloween' is the contraction of All Hallows' Eve. All Hallows' (or All Saint's) is the celebration of the work of God through the church. It is the day when we make the devil-crushing feet of the Body of Christ dance at the honor and the joy of serpent crushing (Rom. 16:20). All Saints' is the final hurrah of the church calendar after which we return again to Advent. Longing remembered becomes longing fulfilled. And so we continue the celebration. This longing also becomes a reminder that all of our longing and all of our love for God will find it's fulfillment in the return of Christ, the second advent. When Jesus comes again bringing the final resurrection of the body, followed by the judgment of Christ and an eternity of life with God for the just and eternal death for those outside of Christ, we find the ultimate fulfillment of all of history. This is why there are no old world pagan holidays left on the calendar handed down to us from Christendom. There have been a handful of romantic poets and secularists that have wanted to keep the holidays while jettisoning Jesus, but they have had to make things up and grasp at straws. The pagan calendars have all been forgotten along with their gods. The closest that we get is May Day, but no one even remembers who Maia was, let alone how her day was celebrated in the past. There are still a handful of names that have remained on the calendar from ancient pagan times. Each of the seven names of the days of the week are derived from the Roman and Norse names of the gods of the seven visible planets, (Sun's Day, Moon's Day, Tiu's Day, Woden's Day, Thor's Day, Freya's Day, Saturn's Day), but the way back to worship those gods, or to the worship of the hosts of heaven at all, has been forever blocked and dammed by the resurrection of Jesus. Now the planets are in the right hand of Jesus (Rev. 1:16). The seven spirits represented by the seven candlesticks of the temple turned out to be but a shadow of the seven spirits of the seven planets as they danced in light and glory before the Holy of Holies built without hands (Rev. 1:4, 12-13; Heb. 9:1-3, 23-24). The principalities of the planets were created to lead us into the presence of God. Though in the new covenant that job has been taken over by the church (Eph. 3:10), there is no reason to object to the use of the names of these forgotten gods, if only to remember that they have been forgotten. Having been overshadowed by the brightness of the glory of a crucified and risen Christ, each day is a reminder that all time is in the hands of Jesus. So as we seek to recover and reinvigorate the church calendar, we should remember that the calendar is not merely a reminder to engage in some extra religious activities. We are remembering what Christ has done and is doing in history. And the remembering causes us to celebrate. The church calendar is to remind us of the great works of God on our behalf, and to mark out the time of our lives according to what God has done in Christ. The primary purpose of the church calendar is to give a rhythm and vocabulary to our joy, freedom, and hope. Wherewithal shall a young man cleanse his way? By taking heed thereto according to thy word (Ps. 119:9). Here we begin the second stanza of the longest psalm in the Book of Psalms. The first stanza of Psalm 119 was all about how God's commands are a description of a fruitful life. The law of God is a description of the life that God himself lives. Because we are made in the image of God, the life that we are intended to live is shaped like the life that God lives. The conclusion of is that the first blessing that we need is the blessing of God granting us obedience to his law. All others blessings are meaningless unless we can follow after God. And the blessings of a fruitful life come to us through the gift of obedience to the commandments of God. But the psalmist also sees that there is a serious problem. He does not begin his obedience from neutral. He has sinned. He is starting from a deficit. All obedience that might come in the future is the obedience of a sinner. He has been following a different path than the path of life. He has not lived God’s life after him the way one made in the image of God should have. God has cut and laid a road and told us to follow it, but as sinners we all begin from the woods. How then does a young man cleanse his way? How does one return to the way once you have gotten off of it. How does a sinner find forgiveness? But not just forgiveness. How does a sinner find his way back to living the life that he, as someone made in the image of God, is created to live. The answer is to take hold of God’s Word. Open up your ears and listen to God speak. God’s word cleanses us. That is why Jesus can say, “Now you are clean through the word which I have spoken unto you.” (John 15:3). God’s word created us, and with His word he recreates us. But God never does anything part way. He does not merely cleanse us from our past sins. He cleanses us of past sins and cleanses us for a future of fruitfulness. This young psalmist wants the way that he lives cleansed. Remember, the psalmist wanted his way directed after God’s laws (Ps. 119:5) because God’s laws were a description of God’s own way of living (119:3). And the Word of God will direct and transform and cleanse us back into the way of living that imitates the life of the Father, Son, and Spirit. That is why Jesus continues from cleansing by the word to fruitfulness by the word. “Now you are clean through the word which I have spoken unto you. Abide in me, and I in you. As the branch cannot bear fruit of itself, except it abide in the vine; no more can you, except you abide in me. I am the vine, you are the branches: He that abides in me, and I in him, the same brings forth much fruit: for without me you can do nothing” (John 15:3–5). Living in the way of God is something that begins with the cleansing of the Word of God, and continues with the ongoing cleansing of our living with the Word of God. And Jesus is the Word of God incarnate. So the Psalmist, by taking heed of the Word of God was, like Abraham, justified by faith (Gen. 15:6). And then walked by faith, trusting in the same word in which he found his justification. In the Word of promise, he saw Jesus. Jesus’ cleansing death was promised, and the way of life was laid out in the law. The life that Jesus would come and live to perfect fulfillment (Matt. 5:17) because God has always and eternally been living it. We begin by faith in Jesus, revealed to us in God’s Word, by the Spirit of God, and we continue by faith in Jesus, revealed to us in God’s Word, by the Spirit of God. How shall a young man cleanse his way? By taking heed unto God’s Word. Margaret Sanger started the back-alley abortion clinic which grew into the largest and most profitable non-profit organization in the world. She has been hailed as a great social reformer, a liberator, and a hero. She lives in the minds of many as one of the great saints of secularism. But the problem is, she was a white supremacist who wanted to use the power of the state to legally cleanse the land of non-whites. In 1932, Sanger outlined and published her “Plan for peace,” that called for forced sterilization, legislated segregation, and concentration camps for all “dysgenic stocks.” Her close friend and adviser, Ernst Rudin, who served as Hitler’s director of genetic sterilization in Germany, was published, and praised by Sanger in the Planned Parenthood magazine. Sanger’s ideology was not like Hitler’s. Her ideology was Hitler's. What is odd is that Hitler, Stalin, and Mussolini have all been defamed and disavowed by every corner of society. Whether it is for their bad science, dangerous ideals, or for being instrumental in the deaths of millions, they are villains of history. Yet Margaret Sanger's work has continued under an identical ideology without opposition. People are not running out to resurrect the name of Hitler. Yet every year people try and re-paint Sanger as someone special and humane, someone with noble intentions. “But what about all the good Planned Parenthood does? I see that Sanger and her company, Planned Parenthood, were white supremacists who wanted to kill minorities, but Planned Parenthood also offers cancer screenings. Not everything they do is bad.” True, Planned Parenthood does offer more than just abortions. Besides the racially motivated killing of babies they do offer certain other services. Some of them are even helpful. But the same can be said for Hitler’s Germany. They never just killed Jews. They had social programs. They had music, art, patriotism. The Nazis were refined. But refinement built on a foundation of human sacrifice is still barbaric. Because people have been willing to overlook Margaret Sanger’s ideology, her white supremacist vision for the world is succeeding before our very eyes. Her allies of World War II were defamed by the details of Auschwitz. Yet her organization has been able to target and destroy 30% of the African American population. She has succeeded where Hitler failed. To this day Margaret Sanger’s vision lives on in the institution that is living her legacy. With governmental and social support, eugenics by abortion continues to press forward in America and throughout the world. May the church stand up to defend the fatherless and defenseless in our land. Margaret Sanger and her institution have proved themselves enemies of the unprotected minorities that are my neighbor, and therefore are my enemies as well.